We just waved goodbye to Henry and Thelma Majana and their four children. 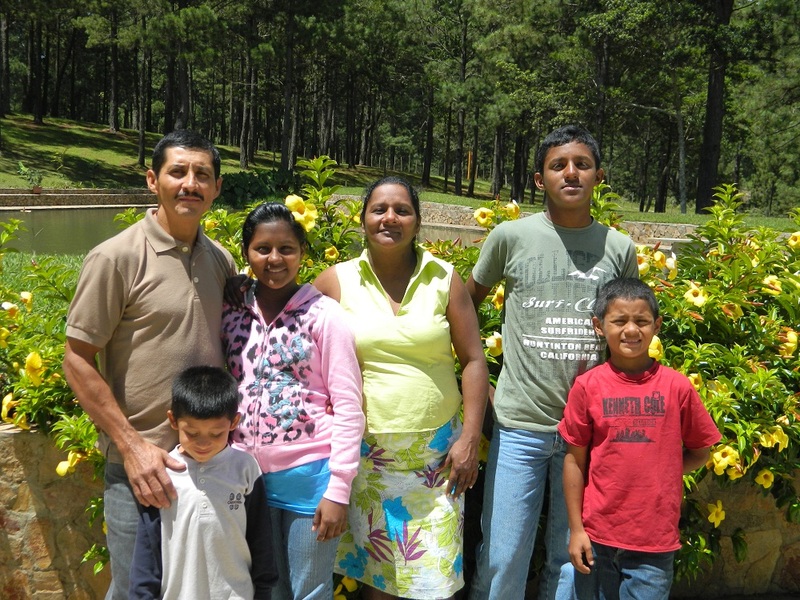 Henry is interim pastor at Pena Blanca and mentors young pastors that live in their region. He has just completed his master's courses at the university and is a teaching supervisor for the schools in the Lake Yajoa region. Thelma is beyond busy as a mother, Sunday School Teacher, maker of dresses for little girls in need, and the Woman's Program Coordinator for the national Central American Mission organization. Besides that, she functions as the community health resource person. Who knew when she was assisting in the clinic at El Tomate (both she and her husband graduated from the Bible Institute) that she was absorbing so much of what occurred there. Their children are a true joy as we observe them growing and maturing. Josue, age nine and third of the four, said blessing at lunch, but had one hand out ready to grab a fried chicken leg as soon as possible. Caleb, the oldest shared about his dreams for the future as he enters high school. Such a tender heart. Secia, at thirteen, has a servant's heart and cannot decide if she will be an elementary teacher or go into nursing. Abner is in kindergarten this year and to him every day is an adventure greeted with smiles and giggles. This is a family that lives one day at a time, focused on the Master. They have the success habit...to succeed in each small act, each day. Their home is a small concrete structure and their vehicle is an old well used, oft repaired truck. In their kitchen, the stove has a broken oven and two functioning burners. But, there is always food being prepared constantly for the constant flow of visitors and family. Their years are successful because their days are that way. Success is measured in what they do because, for them, Jesus Christ orders the ebb and flow of each 24 hours.